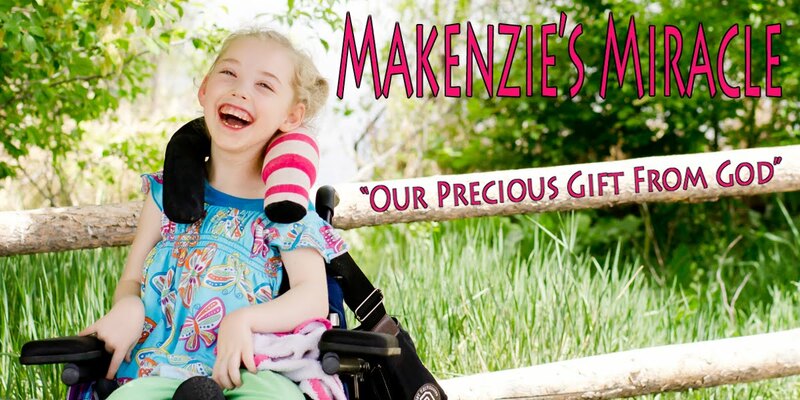 Makenzie is doing much better! It seems as though the Flu has left the building! YEAH!!!!! ALL of my kids went to school today! It made for a much needed break! I got some laundry done and went through Makenzie's closet! She has grown over 2 inches in the last 6 months! There is not much left! Good and Bad! My FFT girl is now growing and fast!!!!! We are starting to gear up for our trip to California this July! I am so excited! We are 2 years post injury this month and God is still providing! Although slow Makenzie has done a ton of healing! she has gone from the toddler who was never happy to the little girl who never stops SMILING! She has gone from staring into space no matter what you do to playing games like peek-a-boo and tag in her walker! She still seems however to be stuck in some very infantile patterns that continue to inhibit her healing! She hates anything to touch her hands and her favorite position to be in is on her side in a ball. We have been praying and researching Stem Cell therapy for a very long time and have never felt lead to this until recently. I have had some friends that have done this and have had very good results! This therapy is very pricey. It however, other then normal and intensive model therapy which will need to continue for the forseable future, is the only thing left to try at the current time. CP has one of the highest success rates when it comes to Stem Cell Therapy. Please pray for us to make a good decision on when, where and how to do this! It is a BIG deal! it could be healing, it could be Gods tool for a Miracle, it could be His plan! We ask for support and prayer in making this happen! I will have more details to follow! Here is a bit from a friends site. She is taking her son who suffered a similar injury to China for Stem Cell Therapy in Aug. When I read this I felt like she was saying everything I felt about how others view this treatment. Many people have been talking to my mommy and asking many questions about the treatment. Thats ok with her. She likes talking about it. Although one thing I want to let people know is this treatment is not a cure all. Some people start seeing results right away, but most don't see result for about three to six months. What kind of results you ask that we might see, well, maybe my muscle tone is more relaxed, or maybe I am rolling and crawling and walking everywhere. Any improvement will be awesome. The worse that can happen is nothing, no improvements. We just have to wait and see. When I get back mommy is going to take me to HBOT this is like giving the cells fertilizer. I will then do a three week intensive neuro suit session.